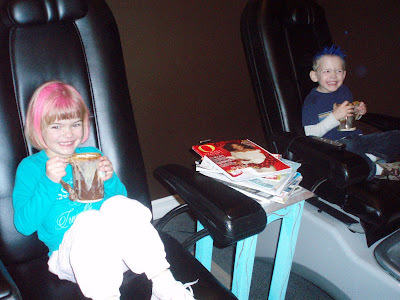 Bijou - A gem of a little salon in Skaneateles: More kids at Bijou! Wow! 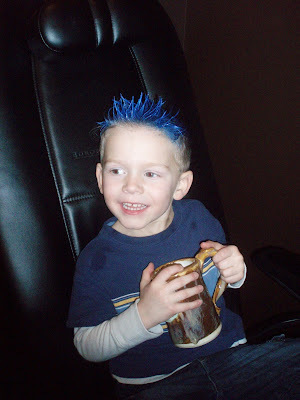 Look at that rockin' hair!!! I'm pretty sure they think they've hit the jackpot! Life sure is good for kids at Bijou! Cute as a button, much like her cousin! 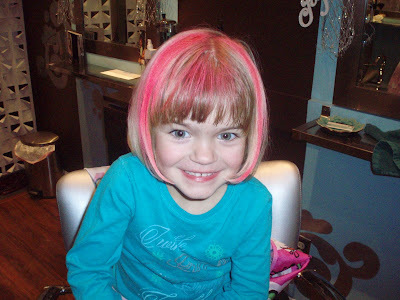 Little M, really took a walk on the wild side! How fun! Do you remember Punky Brewster?? 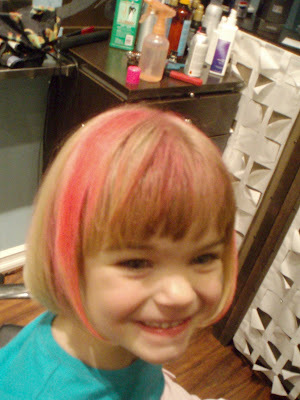 I think little R will be coming in next time asking for pink...whatever you wish punky, your wish is our command! !